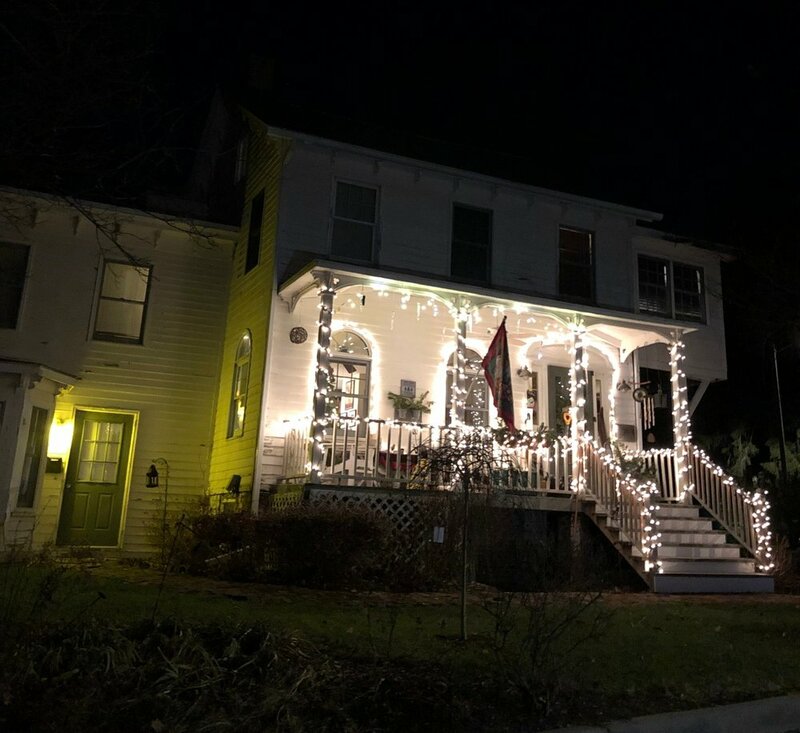 Holiday House Lights In Beacon For 2018! 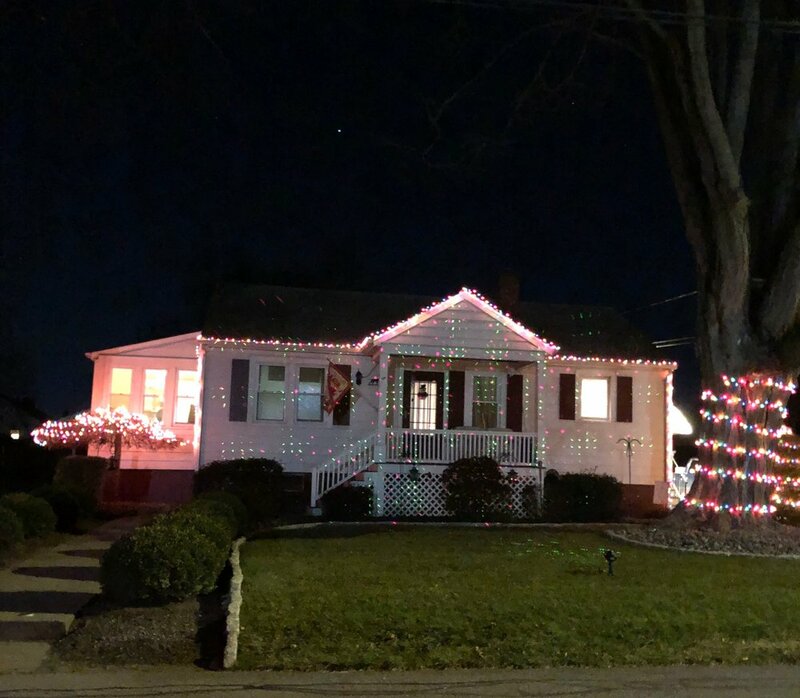 Thank you to everyone who submitted pictures of their decorated homes! 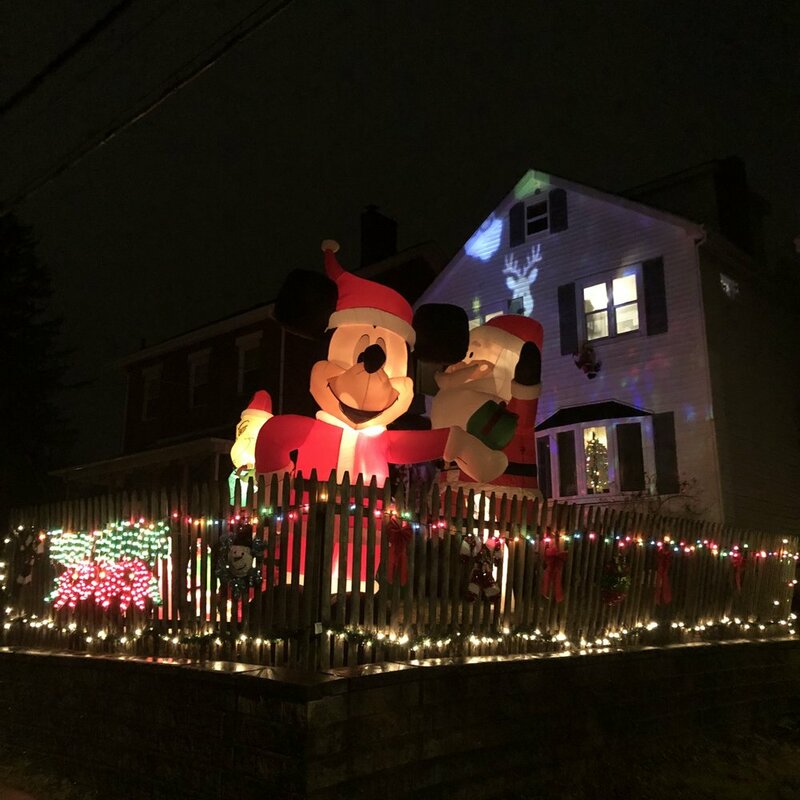 It has become a tradition each year for us at A Little Beacon Blog to go “Holiday House Light Hunting,” where we literally drive up and down Beacon (quite literally, when we drive up Mount Beacon into those neighborhoods) to find exciting holiday house light decorations. 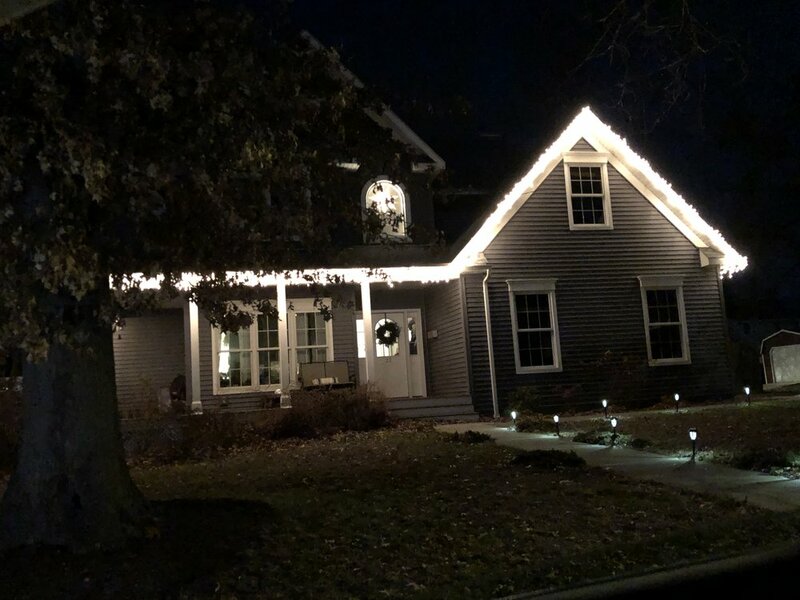 While there are several pictures in this roundup, it is just a sampling of the many house lights decorating Beacon right now. Where possible, we indicate where a house is. Otherwise, we encourage you to drive or walk around on your own self-guided tour! Here is a home going with a fun minimalist pop-art look. If this looks familiar to anyone, this house was featured on HGTV’s House Hunters with Richard Blakely and Lindsay Kaplan. Watch the episode - it is hilarious, and you’ll even see Richie from Max’s on Main in it! 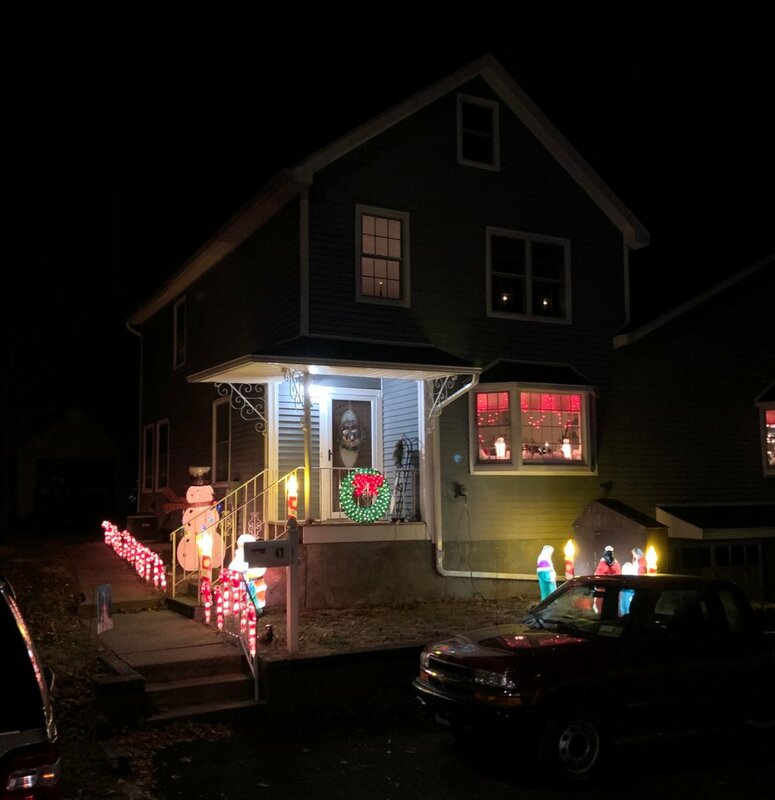 Celebrating their first holiday season in Beacon, Allison and Chris built their house from scratch. You’ve probably seen it on 9D on the way to the train station just after the Southern Dutchess Country Club. 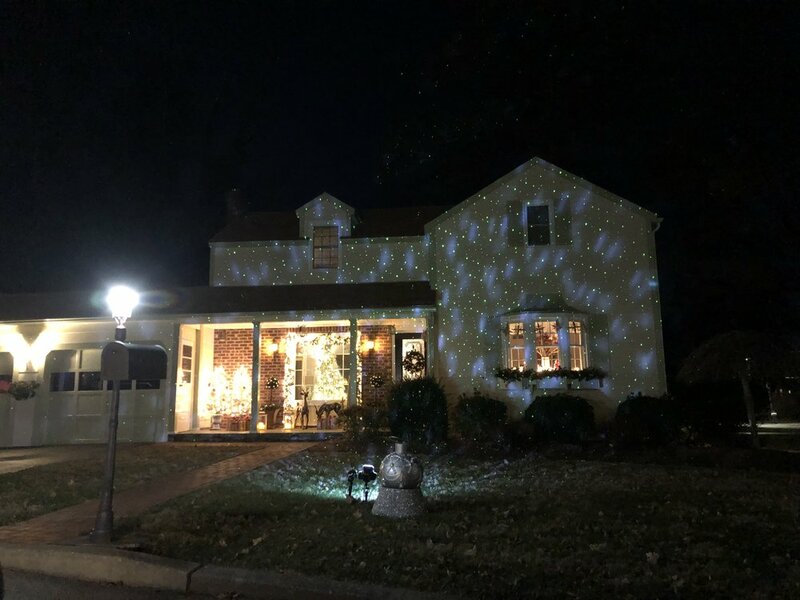 Next year they promise MORE lights to outline the entire house. 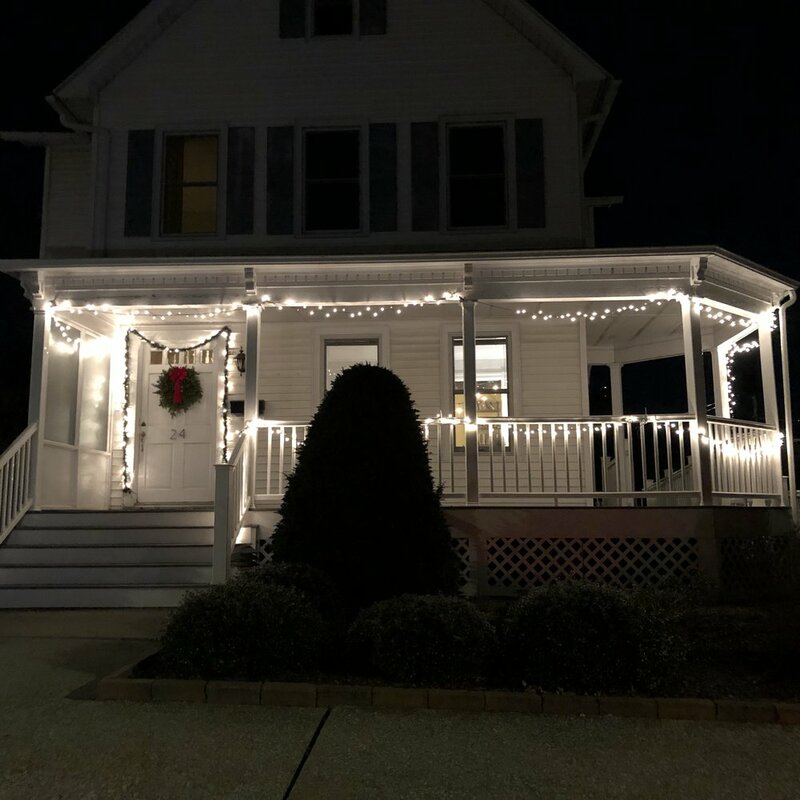 Lauren and Brent just moved to Beacon at the end of this past summer, and were excited to decorate their new home for the holidays! A nice “I’ll be home for Christmas” vibe is coming from this home. Props to anyone who got lights onto their roof! The sparkly laser lights look like snow for a minute. While not over the top, this very classic look had us wanting to live there. Awwww! We love the big polar bear! This corner of Tompkins Terrace has some serious cheer! It’s a good thing we had our Christmas music playing, because it felt like music was coming out of the lights! And BTW, this design is so elaborate and well-done, we had driven around the block to go somewhere else, but actually got lost and thought we had driven up to a new house when we approached this one from a different angle! People come from all over to take pictures of this house. 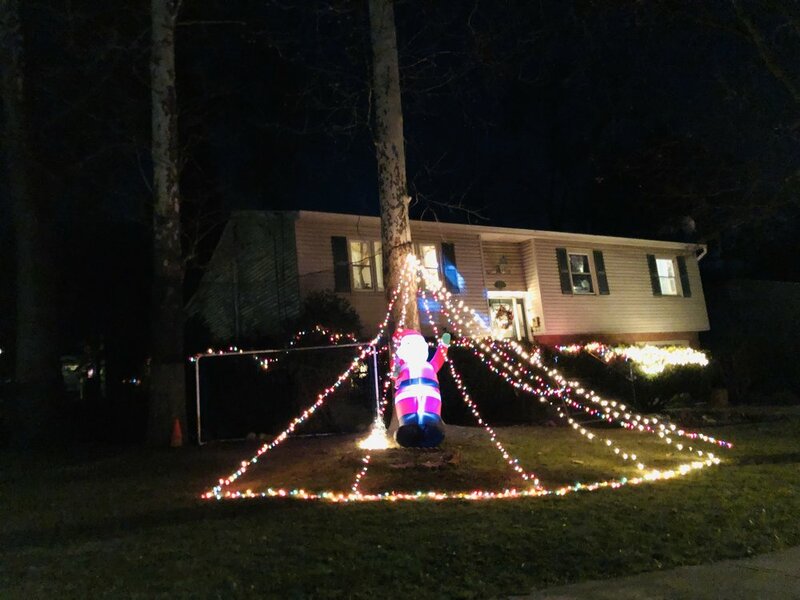 Being a neighbor of the above house might serve as a Holiday House Light Challenge, so we tried to show some love for the neighbors. Fist bump to this little Vader across the street. It’s the “Fa La La La La La La Death Star” house on Overlook Ave.
As we stopped to take this photo of this charming display, one of the wreaths got sucked back into the window! We wondered if we were in Whoville while the Grinch was stealing Christmas? No, the decorators were just putting on finishing touches as we drove by. Quite elaborate around the yard! 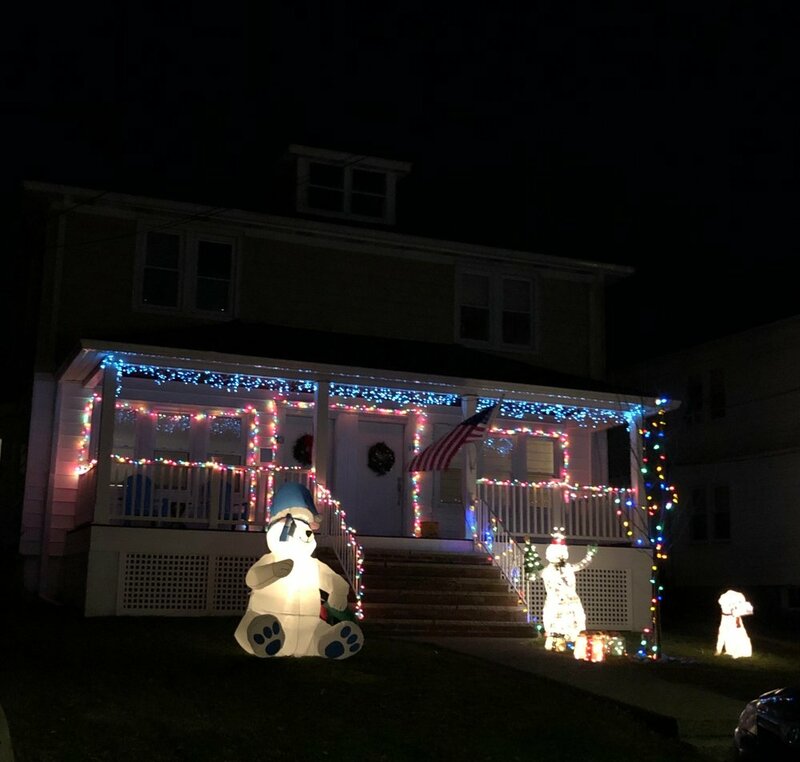 We liked the illuminated nativity scene with the snowman. Always a good one. This house is near Dogwood and gives us a beach-house vibe each year when they light up with Christmas. Certainly a warm glow! There was a cute snowman table spread scene out on the front porch at this house near the mountain. More lit up trees on the front porch of this house near the mountain. We are definitely putting a Christmas tree out on the front porch next year! 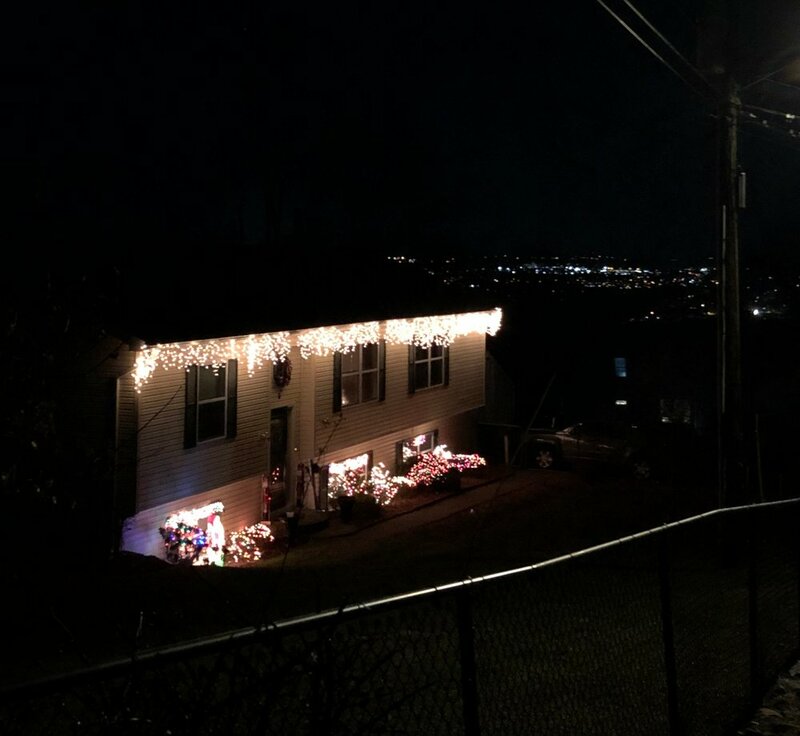 Tricky picture, but this house, on Mountain Lane, which travels up Mount Beacon, overlooks the city below and over to Newburgh. It’s really neat over here, as several roads twist and turn up the mountain. Charming. Can we move in? This one is also slightly up Mount Beacon. If your house was gift-wrapped as a package, this is what it might look like. Candy canes in the front yard on DeWindt. Your hunt for a Christmas tree in or near Beacon is going to be a satisfying one. Below, you’ll find different local Christmas tree lots from which to purchase your live tree. The lots will smell heavenly, as the aroma is bursting from the trees. If you are totally out of decorations, and need a place to start, you could go to Brett’s Hardware in Beacon for the Christmas tree stand and an entire galaxy of light options (choices for your house, your tree and for other outdoor decorations like a mini-light show). You could also go to Home Depot in Fishkill for Martha Stewart brand shatter-proof ornaments and other staples for indoor and outdoor decorating. 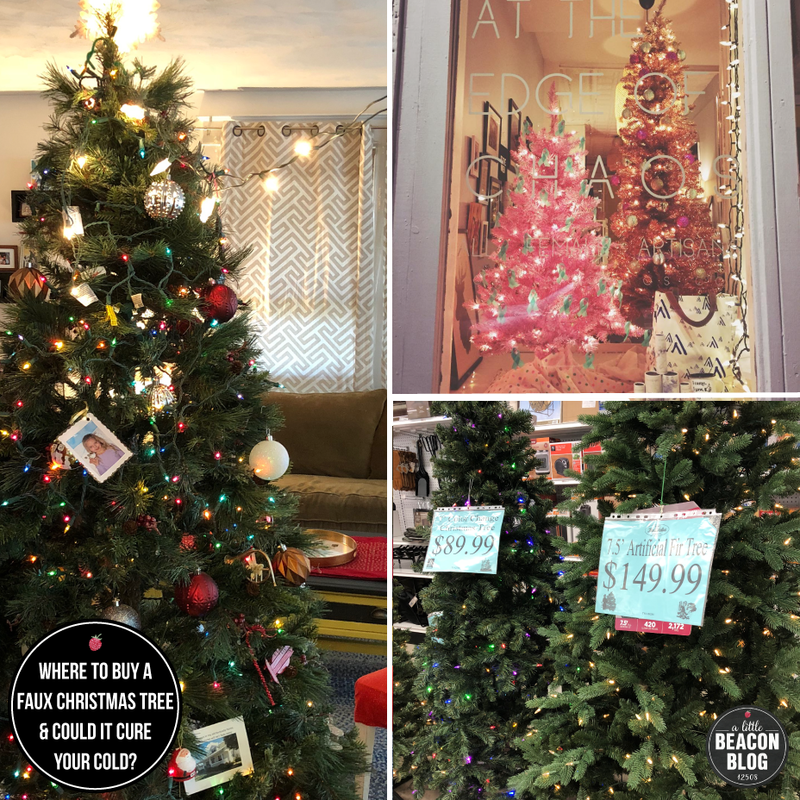 If you change your mind on a real tree and instead opt for an artificial tree, you could head back to Brett’s or read our faux tree roundup. Sunny Gardens Nursery is the nearby nursery located on 9D a little ways past Stony Kill Farm as you head toward Poughkeepsie. The regular plant nursery is open in spring, summer and fall. Once frosty winter days hit, Sunny Gardens opens its lot for the Christmas trees, wreaths, and decorated wreath balls. Drive into the parking lot and step out, and it smells. so. good. The pine fragrance is accented with a slow-burning fire as the staff keeps warm around a fire-pit off to the side while you search for the exactly-right, perfect-for-you, favorite tree. The Christmas tree shed from the Beacon Engine Fire Company next to Dogwood's parking lot. 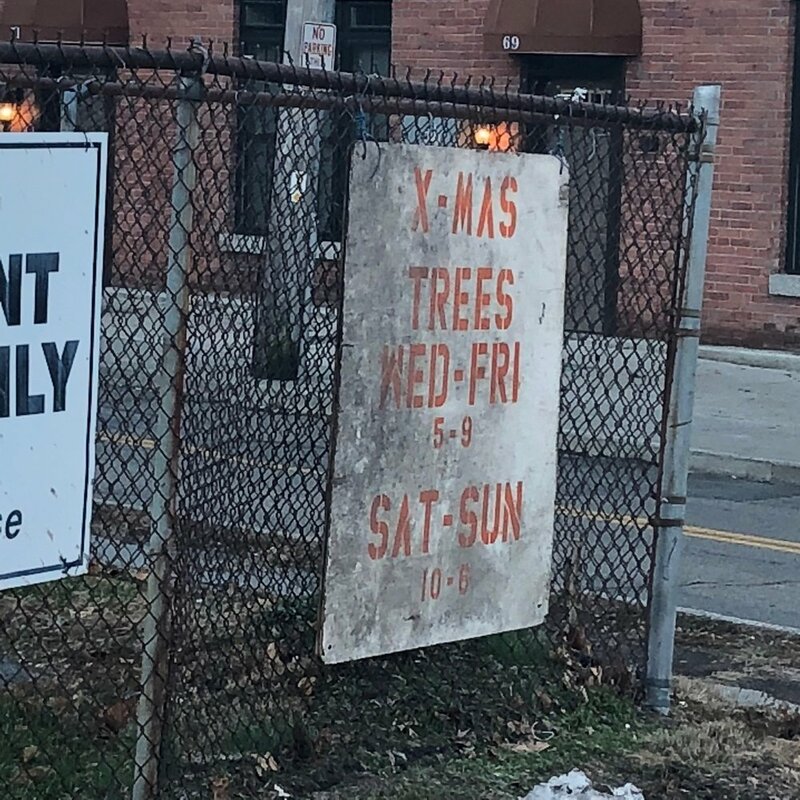 The Beacon Fire Engine Company’s Christmas tree lot usually keeps hours consistent year to year. Beaconites can also buy a tree that benefits the Beacon Fire Engine Company, which is one of three fire companies in Beacon that respond to fires. To buy a tree from these firefighters, look for them in the lot next to Dogwood's parking lot (a single rope separates the two parking lots), at East Main Street and Liberty Street, on the east end of town, over Fishkill Creek, near the mountain. A perfect December day might include a late lunch or dinner and a beer at Dogwood, followed by a Christmas tree pickup. Wow, what a beautiful location to go buy a Christmas tree! Fishkill Farms is just a short trip east on I-84. In addition to the fragrant trees, you may also smell the homemade donuts being cooked up fresh every morning. Don’t miss their store stocked with their apples and homegrown organic veggies, eggs, and fresh-pressed cider. Plus, Santa is visiting on Saturday, December 15, 2018. Speaking of homemade donuts, more homemade donuts are in Cold Spring at Vera’s Marketplace & Garden Center, and they are famous. The garden center is located in a strip on a rural part of Route 9, and it shares its location with The Pantry and Marbled Meat Shop. You will not leave hungry from this tree hunt when you get yours from Vera’s. Getting there from Beacon is easy. And of course, you can buy your Christmas tree from Adams Fairacre Farms on Route 9 in Wappingers Falls. Adams offers a big selection of small and large trees, and walking through their tree nursery at night is always a lovely, fragrant experience. In years past, they’ve had real. live. reindeer. If you’re the real adventurous type, and want to cut down your own Christmas tree, you could try Battenfelds, up in Red Hook in the arctic reaches of northern Dutchess County. They offer wagon rides, Santa sightings and do sell other Christmas decorations. Just a heads up, though: They open at the end of November, so you may need to go early in the season if you want more of a selection. You could also visit TJ’s Tree Farm in Highland, which opens on Black Friday. They offer pre-cut trees, as well as trees you can cut yourself. If you're a recent transplant from NYC, then buying a Christmas tree from Home Depot on Route 9 (to the right off the ramp from eastbound I-84), or from the parking lot across from Walmart on Route 9 (to the left off the same ramp) won't feel that much different from picking a tree from a pop-up Christmas tree lineup on Broadway. Where To Buy A Faux Christmas Tree - And Could It Cure Your Cold? Faux Christmas trees were the answer to this family’s recurring sniffles and chronic coughing. Most of you are searching for where to buy a real Christmas tree in Beacon right now. And why wouldn’t you be? 'The hunt for the live Christmas tree is the most fun part of the start of the holiday season! But did you know that your Christmas tree, and any live-greens garland, might be bringing on that mystery “cold” you just can’t kick? Pretty much every year, I get really sick. We all do, right? It’s normal. While at an in-law family Christmas dinner down South years ago, where the halls are decked with loads of garland, I basically had to sit outside in the cold fresh air for most of the dinner preparations, while my head calmed down and I could breathe again. I called home to my mom, telling her of my symptoms. “You’ve always been allergic to the Christmas tree!” she said. Oh yeah… I forgot. I forget every year. Two years ago, while pregnant with my third child, my asthma was really acting up. But it wasn’t like an asthma attack, it was a simple tickle-cough. Totally normal, right? Doesn’t everyone have a tickle-cough? At the Holiday Family Fun Night in the school cafeteria, PTA parents were handing out the wreaths that families bought as part of a fundraiser. I was slowly fading away into a head fog, but just thought I was tired. Eventually I couldn’t speak to people anymore, without coughing. I was whispering. Great. So off my dad and I went to Vassar. The waiting room was overflowing with the flu. As my dad Googled how to fix the computer board on our broken washing machine (Darn that thing! Pro tip: Buy the cheapest washing machine with the least amount of bells and whistles!!! ), my lungs started clearing up in this germ-infested room. After half an hour, we left. And I remembered about the Christmas tree. Therefore, out went the live Christmas tree, and so began our hunt for a fake Christmas tree! 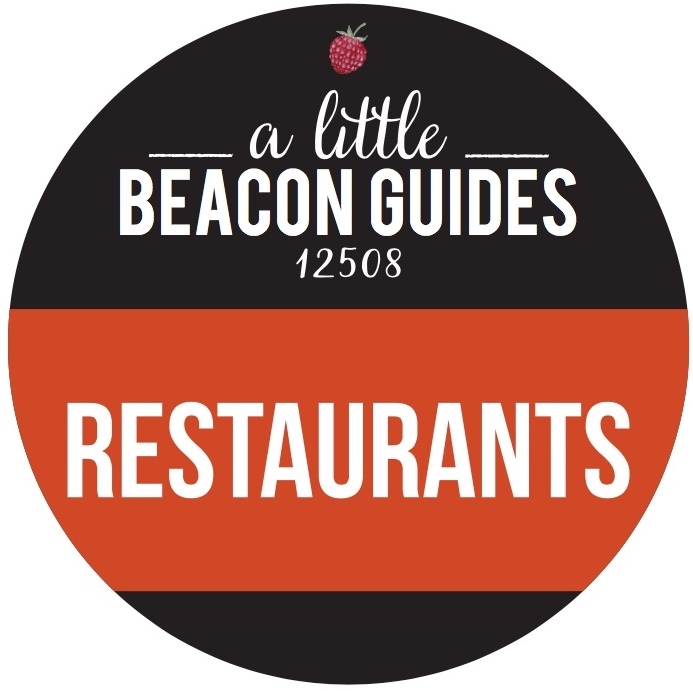 Your closest and friendliest option is Brett’s Hardware at 18 West Main Street in Beacon, NY, down toward the train near the Hudson River. There, you’ll find all the things you need for a faux Christmas tree Christmas. 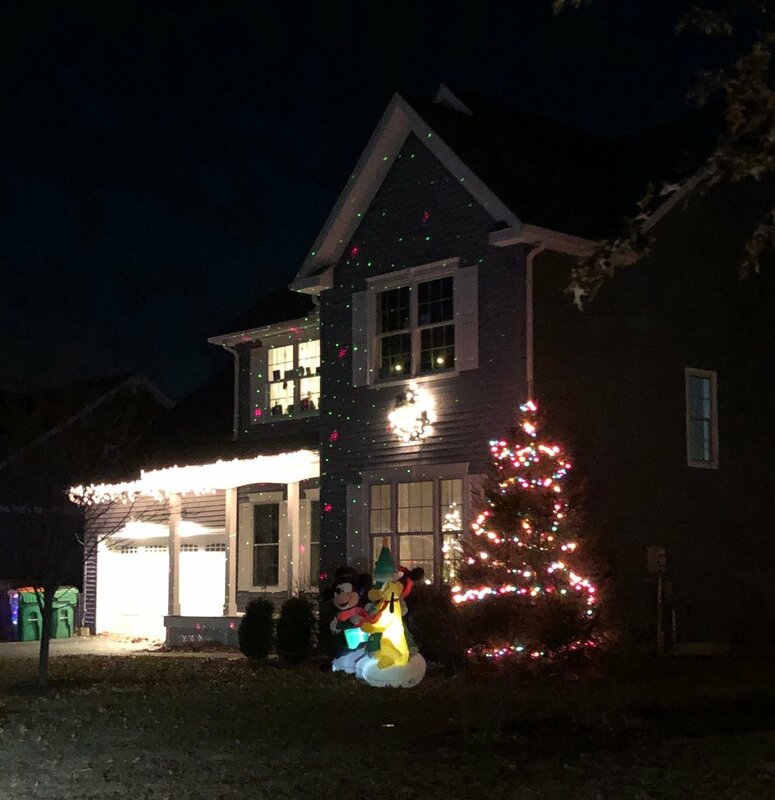 With rainbow pre-lit trees, prices start at $89 for a 7-foot tree that has plugs for the lights running down the tree, and $149 for a 7.5-foot tree without plugs to fiddle with, so just piece it together and it works once plugged in at the bottom. BAM! You’re done. But maybe you want more lights, so more lights you shall have. Brett’s has different colored Christmas lights, and those neat laser lights that all the neighbors are getting. You want some instant holiday stars? You got ‘em. There are different styles and prices of the laser light spinner as well. Brett’s Hardware also has plastic bin containers to store your ornaments and decorations. 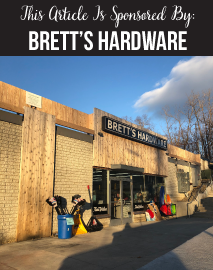 Brett’s Hardware is open until 8 pm every weeknight, so if you’re commuting home, just stop on by. Brett’s is open ‘til 7 pm on Saturdays and 5:30 pm on Sundays. Brett’s is in the True Value family, so they can get in on good group pricing. Target in Poughkeepsie is where I found the smallish silver tinsel tree (about $80) that graces my office here at A Little Beacon Space. To be honest, I was looking for a pink tinsel tree, like the one Howling At The Edge Of Chaos has in her storefront window. But this fun one will work for now! Located in the middle of Main Street in Beacon, you may find some short (about waist-high) faux Christmas trees that could fit in a small window - with white frosting on the tips. After three years, the white “frost” on one of ours just turned yellow. Soooo… time to check on these options! SPONSOR SUPPORT: Brett’s Hardware supported this article with an Article Sponsorship! We can bring you stories and ideas like this with the help of all of our advertisers at any level. 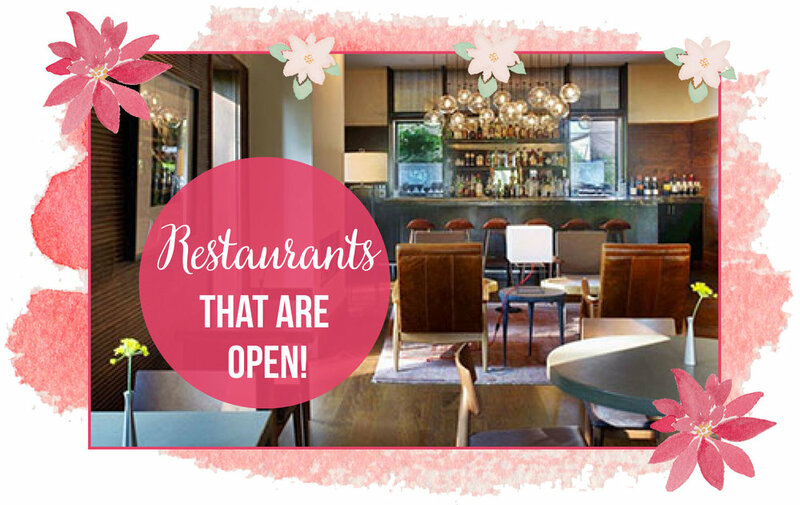 Thank you for supporting businesses who support us! 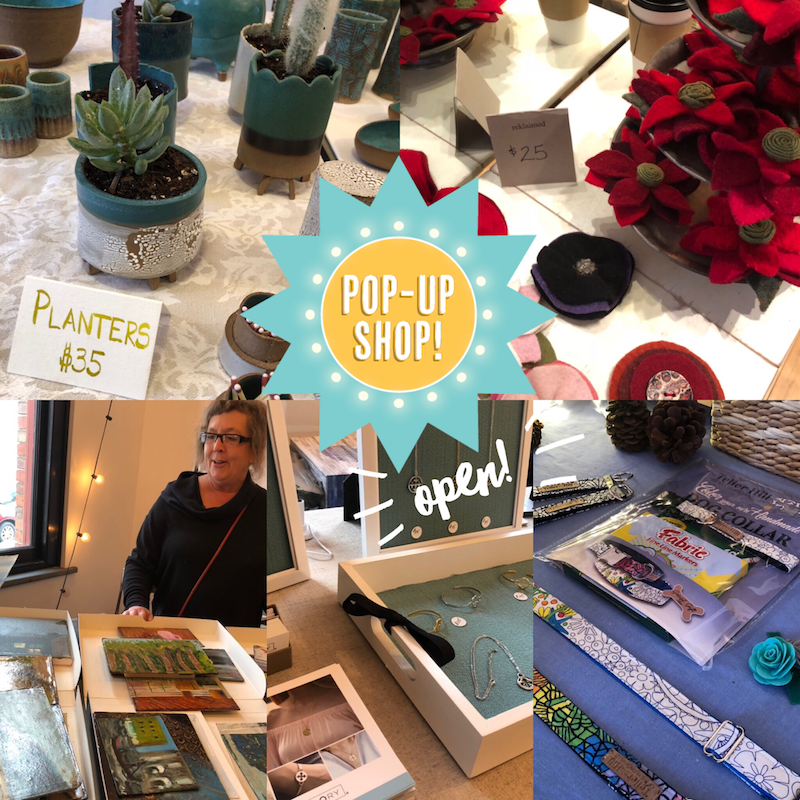 Going on now for one day only, the Artisan Holiday Pop-Up Shop at A Little Beacon Space! 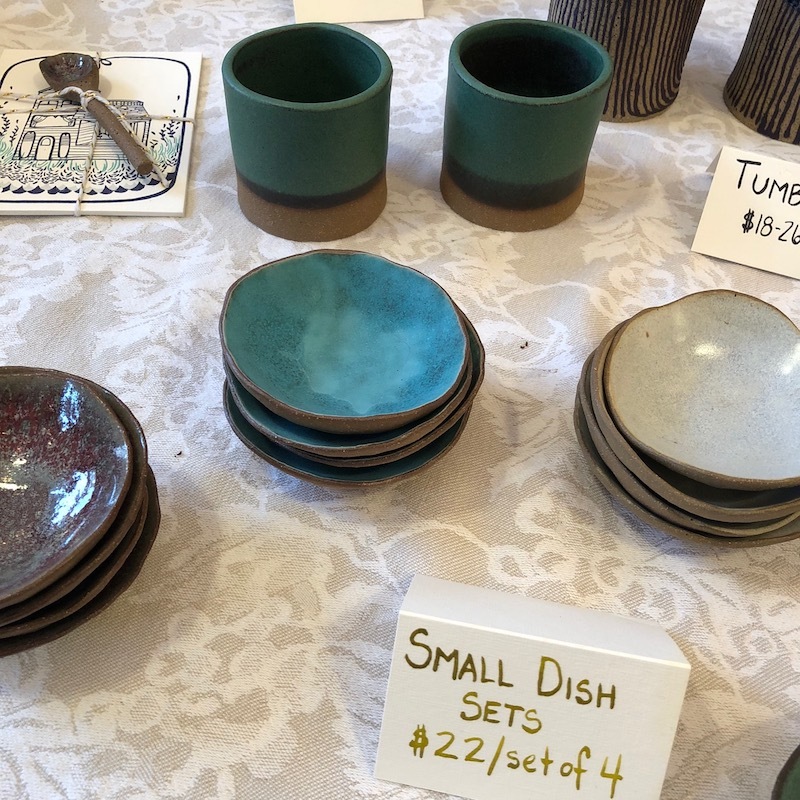 Most of these artisans are not in stores, so you can only find them during pop-up occasions such as this. 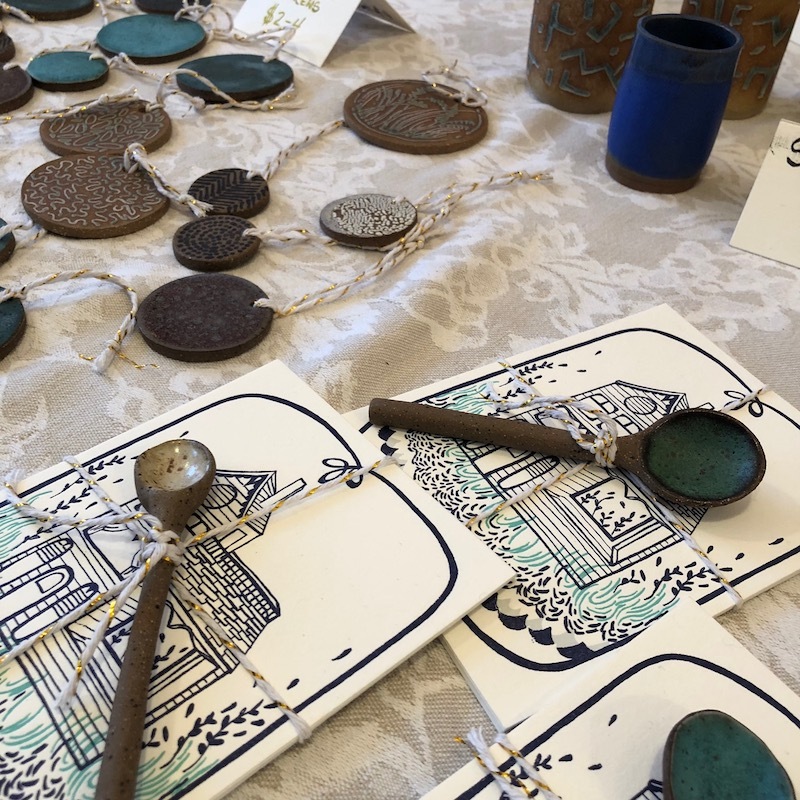 Organized by Susan Labodin, designer and founder of Allegory, this pop-up shop features five talents: the painter Anna West, the ceramics artist MossPocket, the fabric enthusiast reklaimed, and the maker of fun dog collars (she brought the ones that you can color!) Teller Hill. 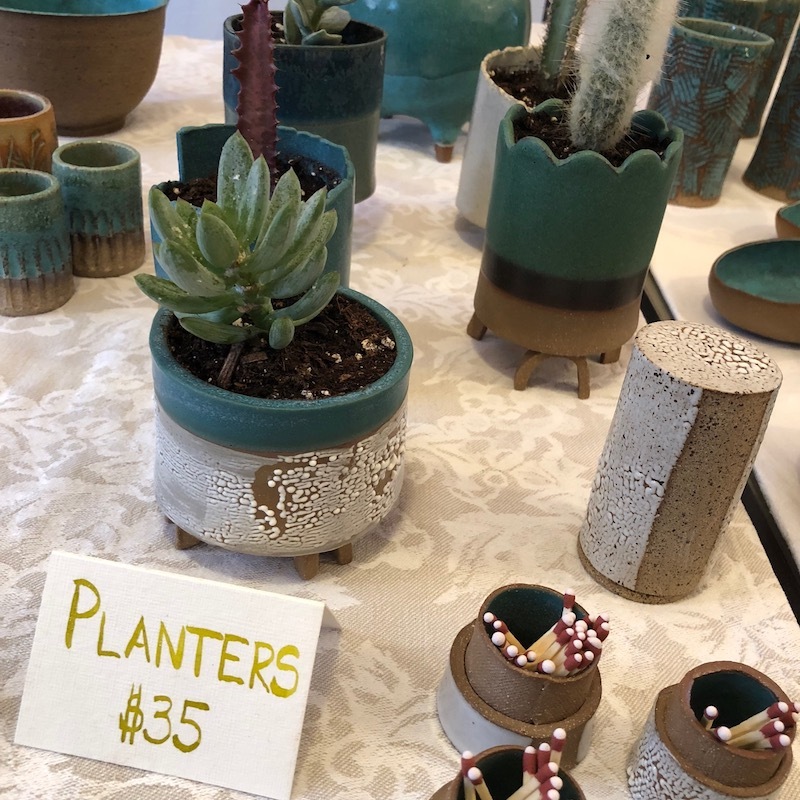 This pop-up shop is extra special because one of the artists, Kat Stoutenborough of reklaimed, was an original pop-up shop creator here in Beacon. Some of you may remember Cherry Bomb, which exploded into Zora Dora's for at least two years during the winter season (the spot has been occupied by different pop-ups ever since). 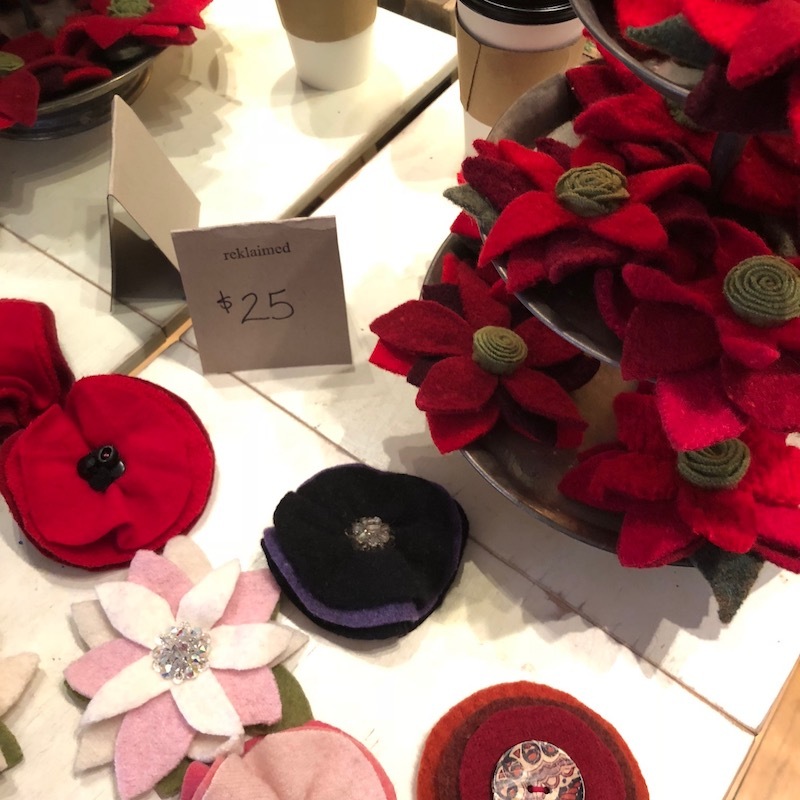 Kat's creation inspired A Little Beacon Blog to incorporate pop-up shops into our business model when we took the office space on Main Street in the Telephone Building. 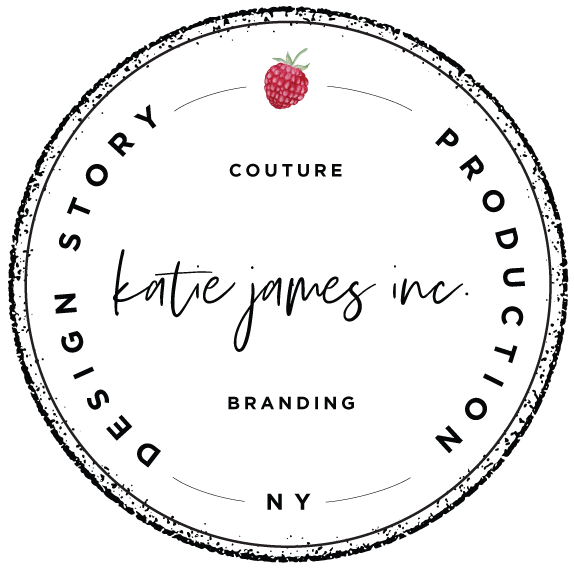 Kat's ability to bring dozens of artists together in a retail community during the winter months was exceptional, and created lasting relationships. 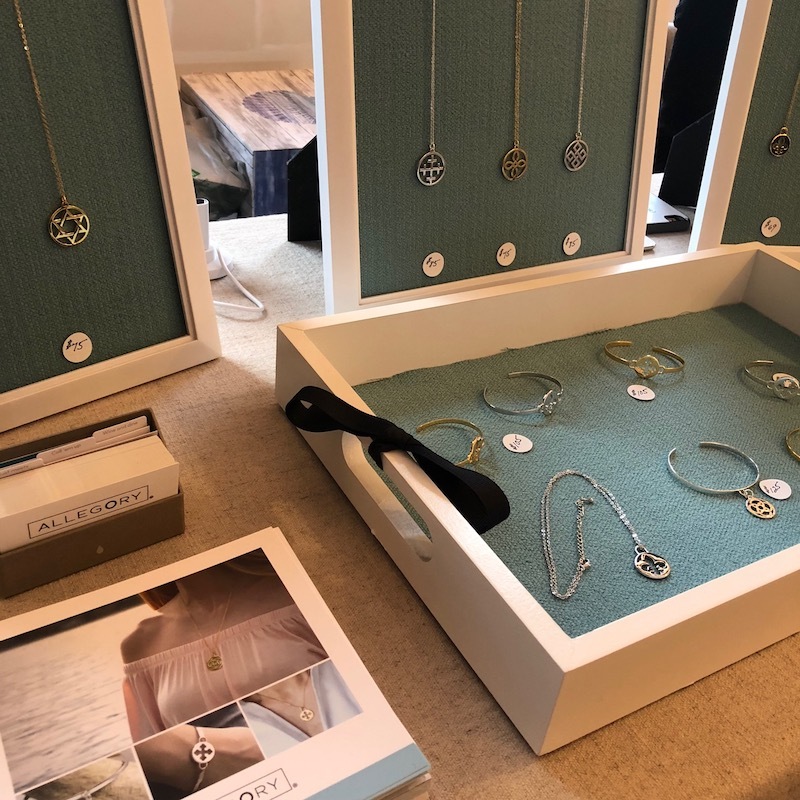 Not gonna lie... we have already shopped this pop-up and did take home a few spoons - but left some for you! 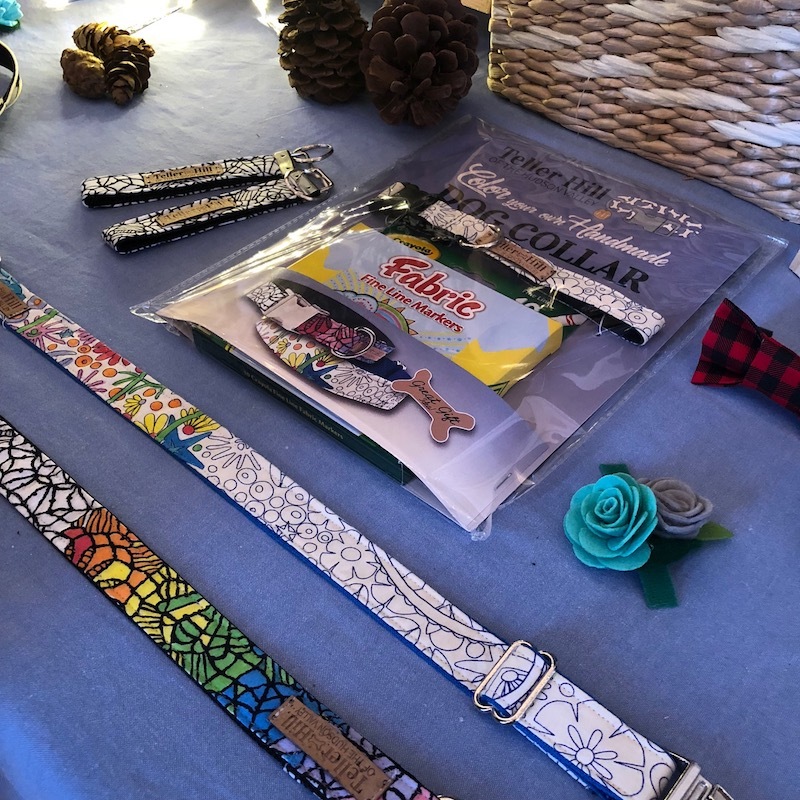 The reklaimed pins are flying off her table, Teller Hill's adult-coloring dog collars are a no-brainer for the dog owner on your gift list! 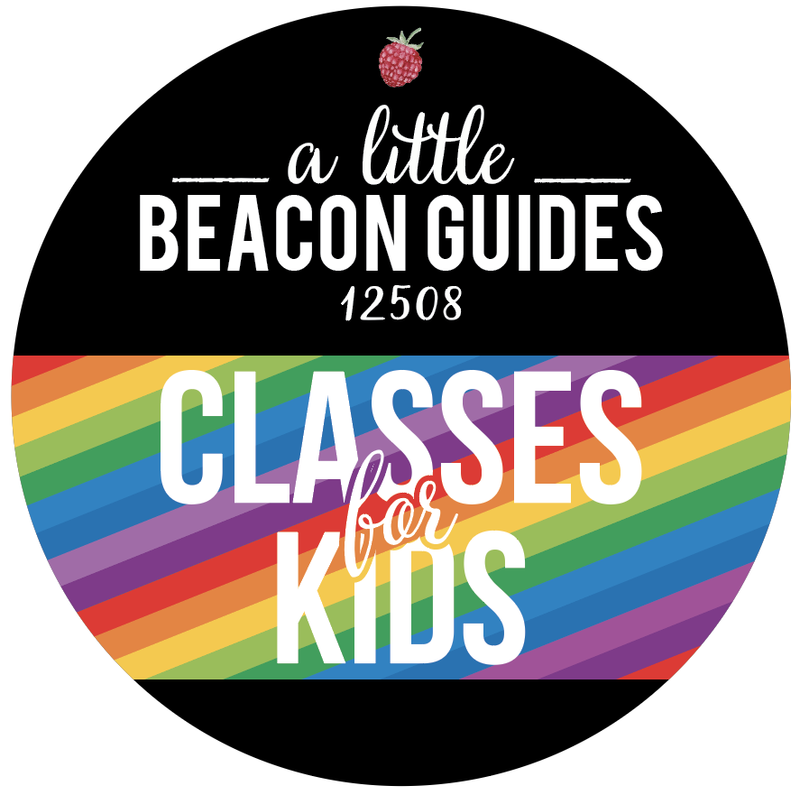 A Little Beacon Blog is seeking Toy Drop-off Locations or Programs. We will run an article on this if we get submissions. Please include: Name of Program, Address, Deadline, Types of Toys (if there are guidelines). 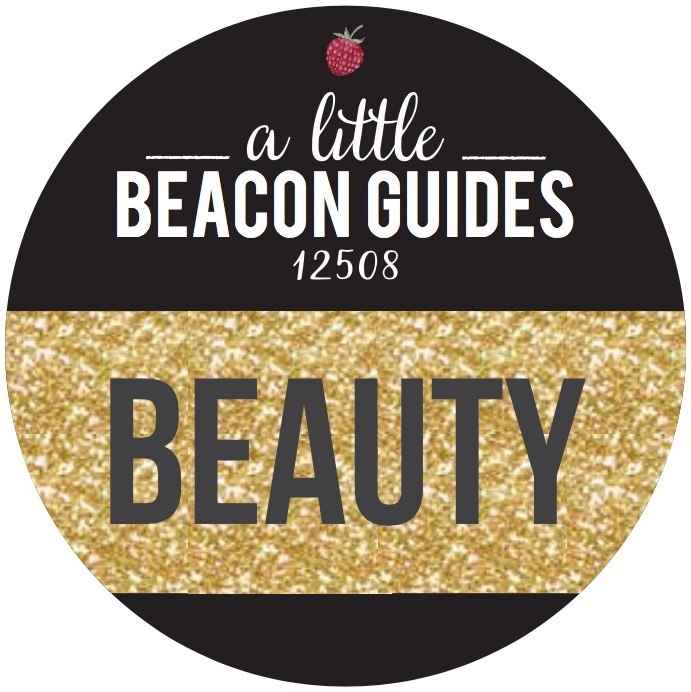 Please email submissions to editorial@alittlebeaconblog.com ASAP. Enjoy the quiet, the laughter, the unplugged, the family, the friends, the neighbors. Last year’s blog post made a suggestion to tell someone unexpected why you are thankful for them. Someone not in your every day life. It’s a neat assignment, if you were to try to do it. This year, there is a lot to be grateful for, but I’ll say that I’m grateful for the ability to step outside my house and onto the sidewalk or into any shop, where I’m bound to run into a friend who I haven’t seen in real life for a while. Usually it changes the day for the better, or helps reshape how I was thinking about something, and I’m grateful for those moments. PS: The photo in this blog post was taken inside of the shop Raven Rose on Main Street on the east end of town near the mountain. The owner, Courtney, always has the prettiest windows and unusual flower selections for a wild bouquet, including several tall dried flowers. I’m thankful for those snippets of beauty. A group of people have organized a new ceremony scheduled for Saturday, November 24, 2018, from 3 to 5 pm, to light up this well-known evergreen next to the Visitors Center at Polhill Park. The rain date is set for Saturday, December 1. There will be ornament making, refreshments, and entertainment. Look for Santa, carolers, tiny dancers, and more. The Bicycle Tree Lighting from BeaconArts and the City of Beacon will be on December’s Second Saturday as it always is - this year it’s December 8. That is also the seventh night of Hanukkah, and BeaconArts will be lighting the menorah that night as well. The lighting of the menorah begins on the first night of Hanukkah: Sunday, December 2. Details about it are here. It is the opinion of this writer that a new tree on the other side of town - near the mountain - would help spread the abundant merriment down the full length of Main Street. It could serve as a new anchor to help draw people toward the east end of Beacon, and the shops, art galleries and salons that reside there. Oftentimes, people turn around after the Howland Cultural Center, where there is the big turn in the road. 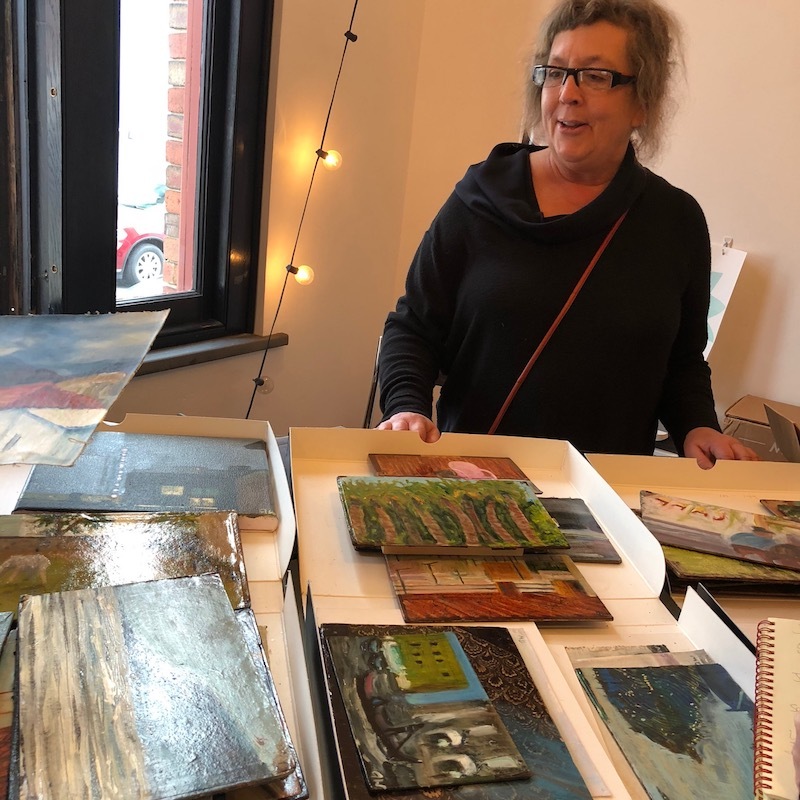 If you follow Main Street around the bend, you’ll discover so many more art galleries and shops, like Maria Lago Studio 502, bau Gallery, Russell Cusick Gallery, Kaight, Style Storehouse, and others. 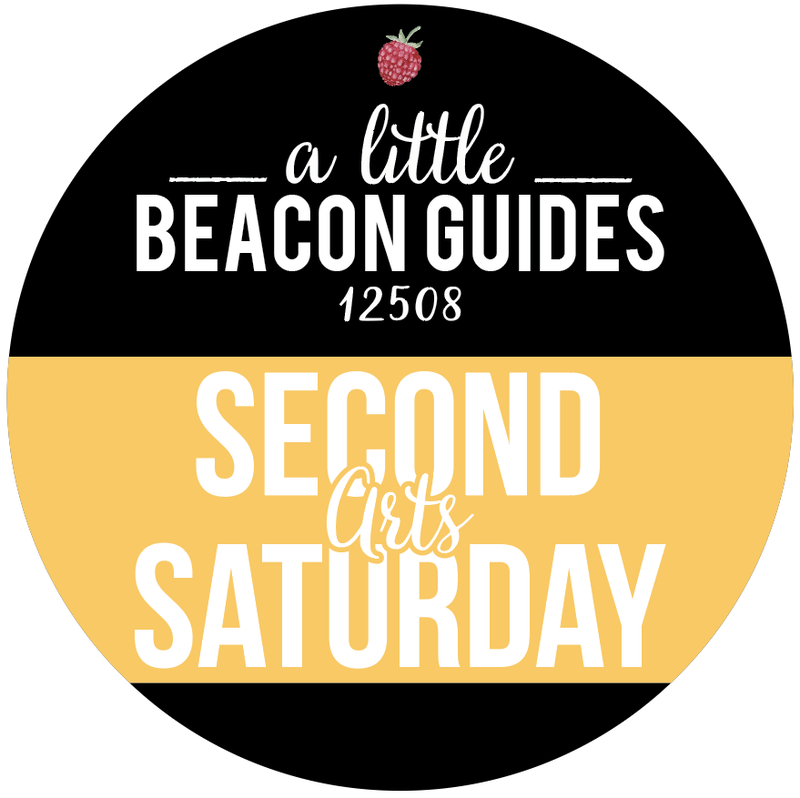 See A Little Beacon Blog’s Art Gallery Guide for a list of galleries. The Holiday Wreaths Are UP! 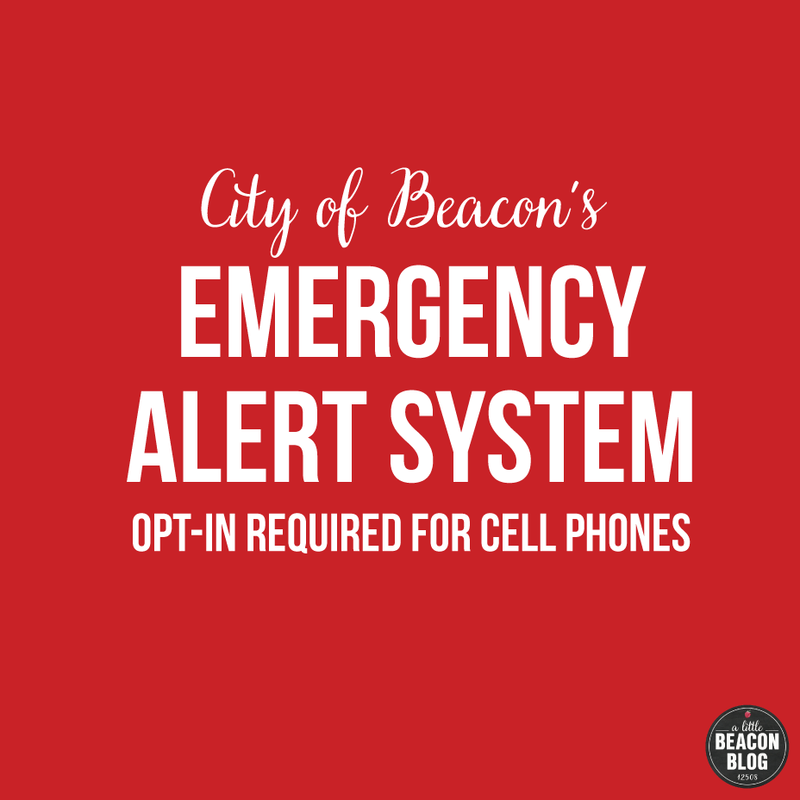 It’s a most exciting time of the year, when we see the City of Beacon trucks loaded with holiday wreaths intended for the streetlamps slowly roll down Main Street, hanging up the festive greenery and bows. Cheers to you this holiday season, on the eve of Thanksgiving. May you stay merry and bright. PS: If you are decorating your house this season, please send your pics to us! 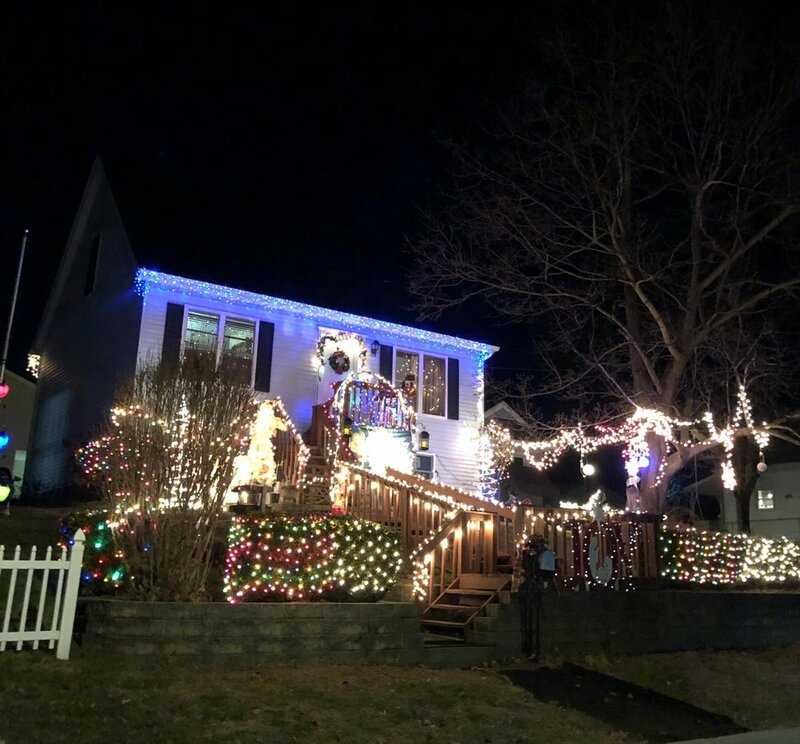 We want to feature your houselights. 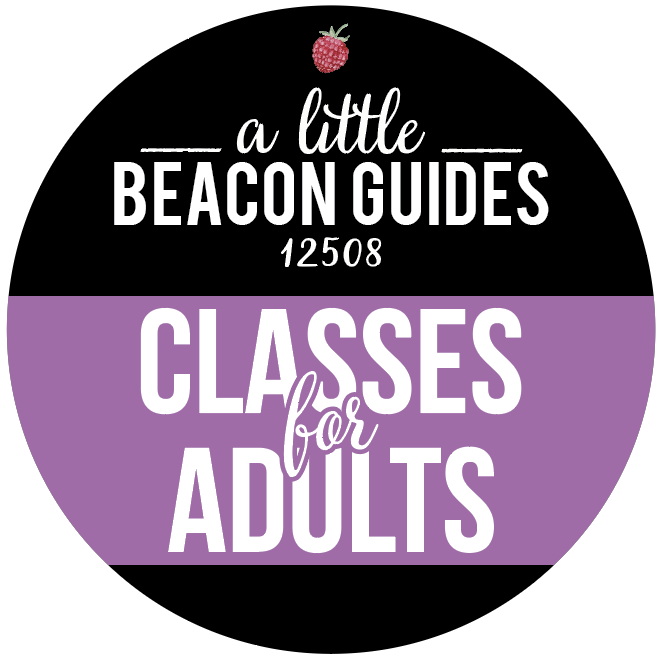 Email editorial@alittlebeaconblog.com for consideration. Including your address is optional. We’d love to see your work, so even if you set up one version, and then add to it later, get on our radar now - you can always send another picture when your masterpiece is complete! If filling stockings brings you joy during the holiday season, and so does giving the stockings to someone who isn’t expecting them, then this holiday initiative is for you. Libby Funeral Home has set up a free stocking for you to take home, decorate and stuff to the brim with holiday cheer. You will receive a list of recommended items along with the stocking. 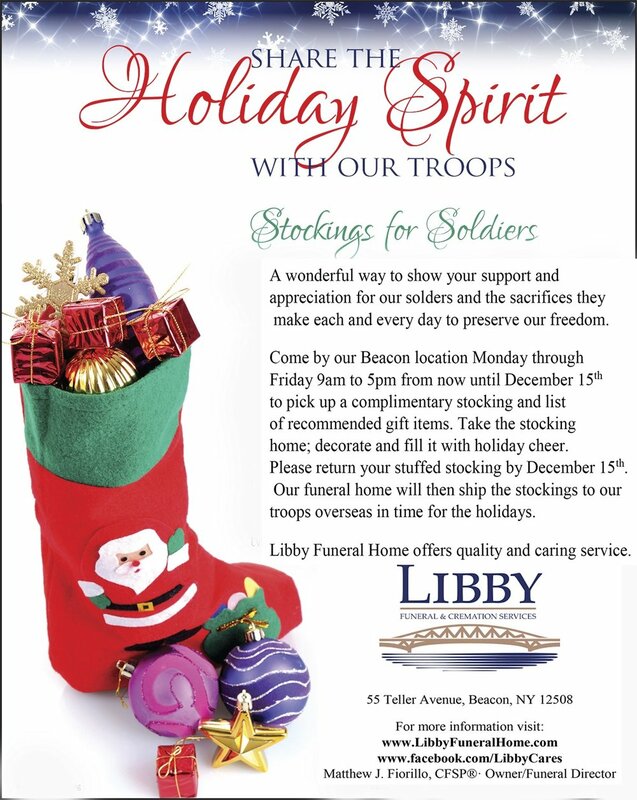 Libby Funeral & Cremation Services will ship the stockings (at their expense) to troops abroad in time for the holidays. “Sending our heroes some good tidings and holiday cheer is a great way for us to show our support and appreciation for the sacrifices they make to keep our country safe and secure,” said Matthew Fiorillo, owner of Libby Funeral & Cremation Services. Pickup of stockings is now through Saturday, December 15. 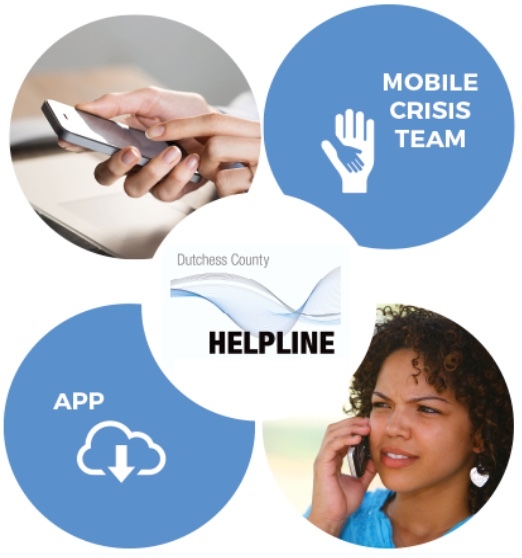 You can stop by their Beacon location at 55 Teller Ave., Beacon, NY, 12508 (near Stock Up) on Monday through Friday, between 9 am and 2 pm to pick up your stocking and begin stuffing. FYI, for those looking to recycle their cell phones: Libby Funeral & Cremation Services is also an official drop-off center for Cell Phones for Soldiers. You can bring in your old cell phones to help American troops call home this holiday season. The old cell phones are recycled and turned into free calling cards for the soldiers. According to Matthew, businesses nationwide have so far collected enough old cell phones to provide American troops overseas with nearly four million free calling minutes. It’s always a good sign when there’s a BOX OF CANDY 🍭 outside your door. Getting ready for Beacon’s Hocus Pocus Halloween Kids Parade on Sunday! Check A Little Beacon Blog’s Events Guide for details. Thank you to Katy Hope from Beetle and Fred for hooking us up with this stash of candy - and for the door-to-door delivery!! Pumpkins at Sunny 😎 Gardens...always a festive sight on Route 9D on the way to or from Poughkeepsie or Wappingers Falls. The main goal for this visit is to pick up bales of hay for mulching before the winter, to hopefully slow weed growth come spring (it should technically be straw but we’re going the hay route). Two years ago I tried leaf mulch and that produced great soil, but resulted in stray leaves all over the snow. Keep your eyes peeled for Sunny Gardens’ light-lined rows of Christmas Trees 🌲 in the winter! We’re setting up the spooky lights in the office ... After seeing orange, purple and pink Halloween 🎃 lights going up already on front porches of Beacon, we had to join in the spooky spirit! Usually Home Depot has the glorious spread of Halloween yard decorations, but this year, Rite Aid in Beacon has enough choices on the shelves to do in a pinch. Brett’s Hardware, down on West Main, has the mums (flowers, not mummies!) and some other colored lights.